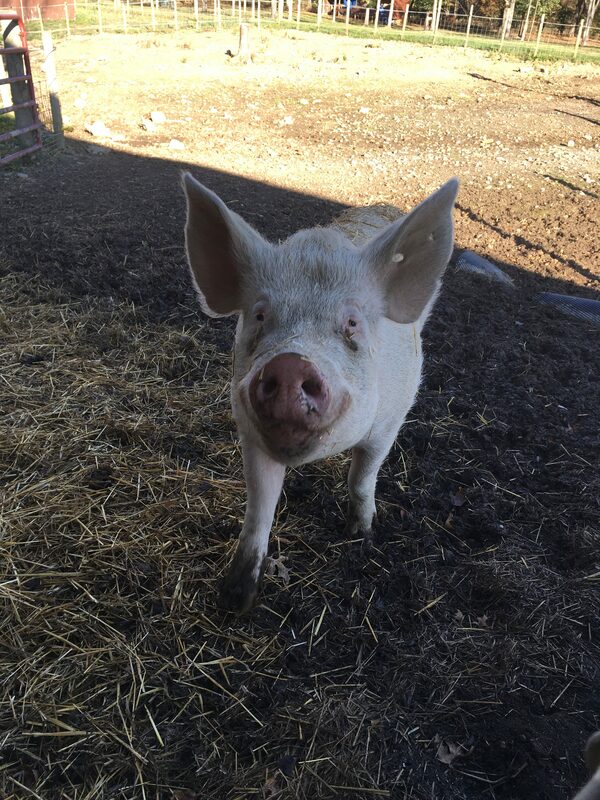 Temple came from a neglect situation with three other farm pigs up for adoption. Temple, Practical, Fifer and Fiddler are all like family and we would prefer that each of them leaves with at least one of their friends. If they all went to a good home together, that would be even better. When Temple came to Happy Trails she had to have surgery to repair an umbilical hernia. She also required ear tag removal. She is a very sweet pig and gets along well with the others.